I have a lot of blogger friends, but have met very few in person. Rachel is one of the few I have actually met, and she has even been in my house!! That’s right, in the flesh. I was so delighted when she agreed to do a guest post for me today. 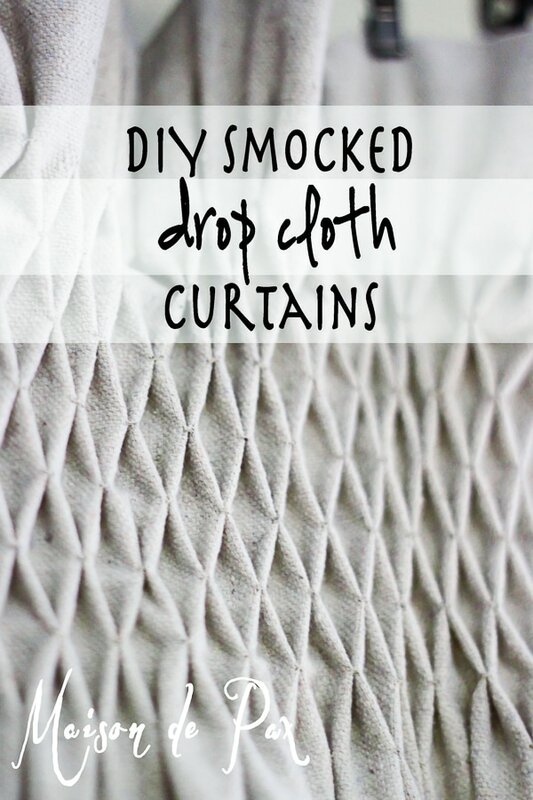 When I saw these amazing drop cloth smocked curtains, I knew you would want to see them for yourself. Here she is. Hi Cedar Hill Farmhouse readers! 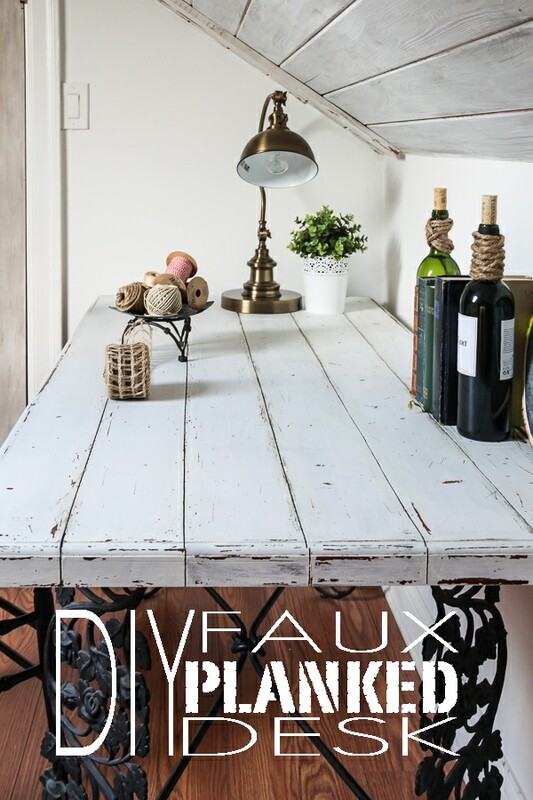 My name is Rachel, and I blog (and live) at Maison de Pax, which is what we’ve dubbed our 1940 colonial. 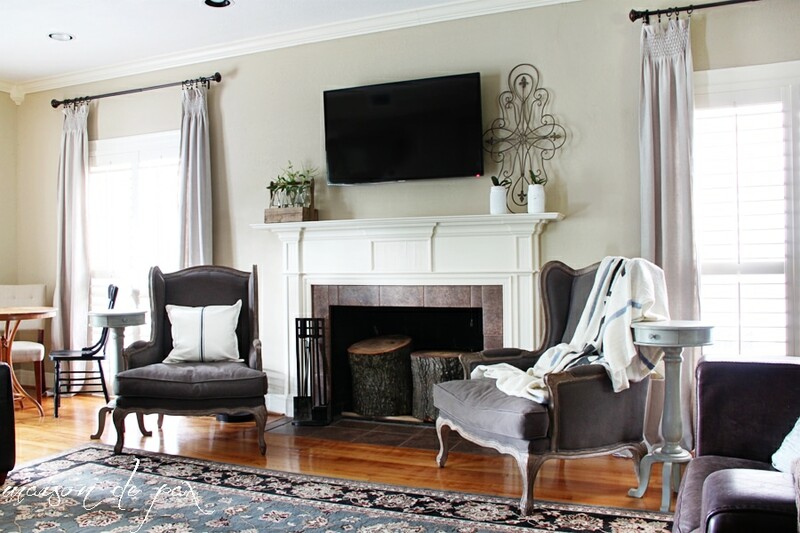 When we moved in two years ago, it was desperately in need of love, but Mr. Pax and I have so enjoyed restoring, remodeling, and redecorating… all while chasing our three children! You can see a full before and after tour here. 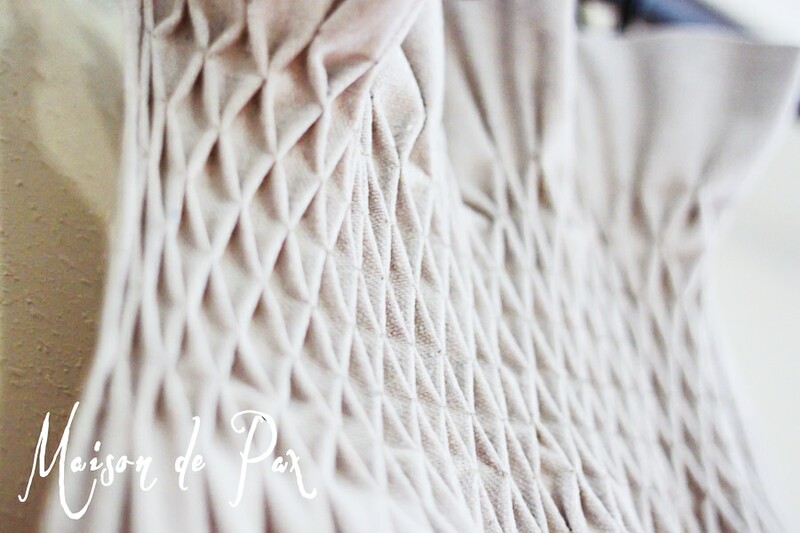 From our gorgeous new whitewashed attic to last week’s dinner menu, Maison de Pax is filled with beauty, love, and plenty of chaos. I have the privilege of calling Anita a real-life friend as well as a blog-world friend (yay! ), and I’m so thankful that she has asked me to be here today! 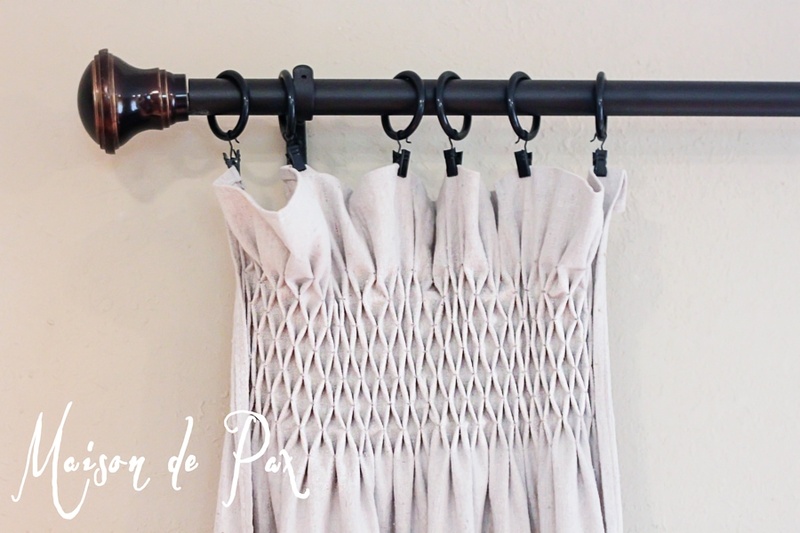 I am especially pleased to share one of my favorite projects: smocked drop cloth curtains. I know drop cloth curtains have been all the rage for some time in the DIY world, but I had my first experience with them last summer when I decided I needed to dress my three tall living room windows. Six 9′ panels don’t come cheap, though, so I began looking for affordable yet unique options. I must say that both turned out better than I could have imagined; they were time-consuming, but totally worth it. They even emboldened me to try my DIY ruffled curtains. Now I only wish I’d discovered my $5 “reclaimed” wood curtain rods before I hung these! I also met Rachel in person at Haven this summer and love her and her style. Wow, those drapes are fabulous! 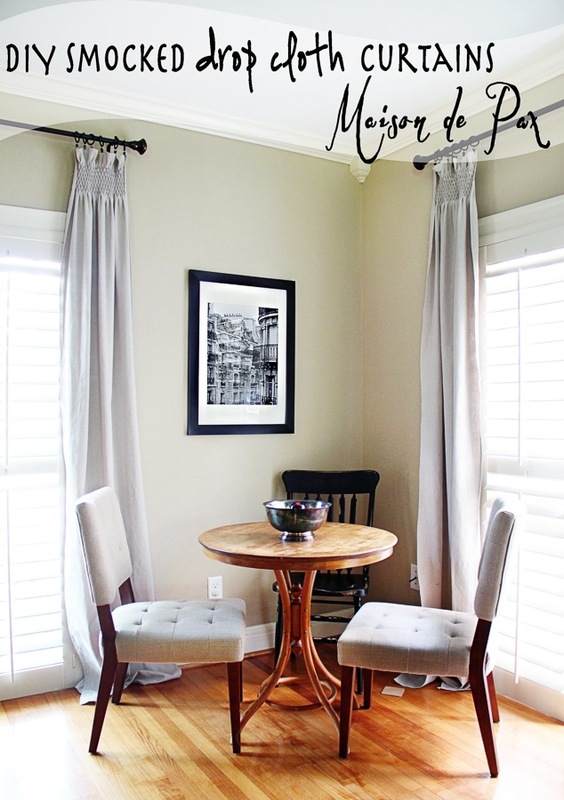 Great post love these curtains and the ruffled ones too! I am in AWE! 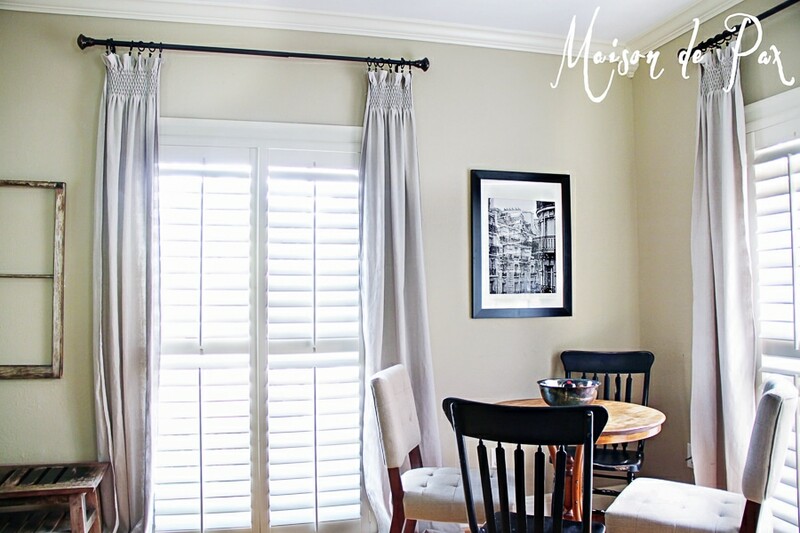 Thank you for sharing these amazing drapes…I have been “curtainless” for a year now in the dining room and living room of my turn of the century farmhouse. I just could not decide what to make? 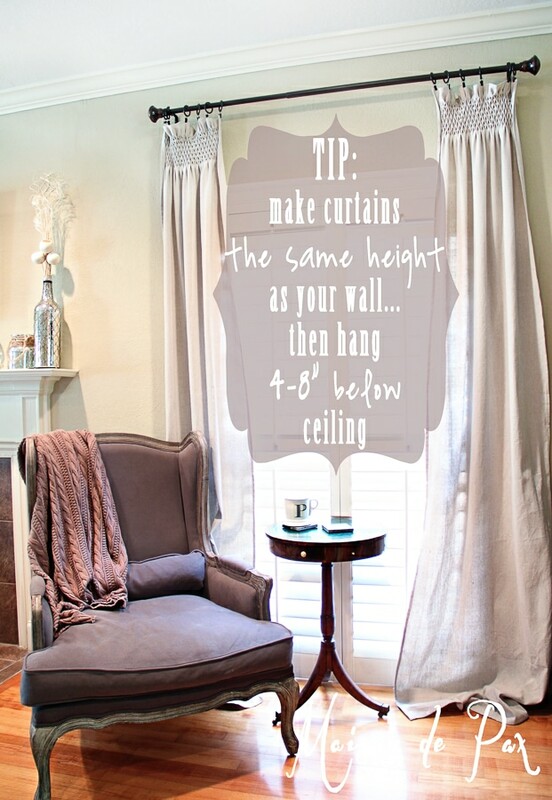 Now I know and I will be making these amazing curtains! Thank you for your beautiful work…it is a blessing to me! I love the curtains and the smocking! Lovely! Yes it is a bit gray. I suspect you can dye the cloth, but I have never done it. Shirley, I just saw this comment… You are SO kind! And you give me way too much credit. 🙂 But thank you thank you, friend! I’m so glad I got to meet you!! That is a great tutorial. Most smocking tutorials are too difficult to understand. Thanks so much. Oh Anita, I just love Rachel!!! I want to replace all my curtains after seeing these beauties!!! And who knew they are dropcloths. 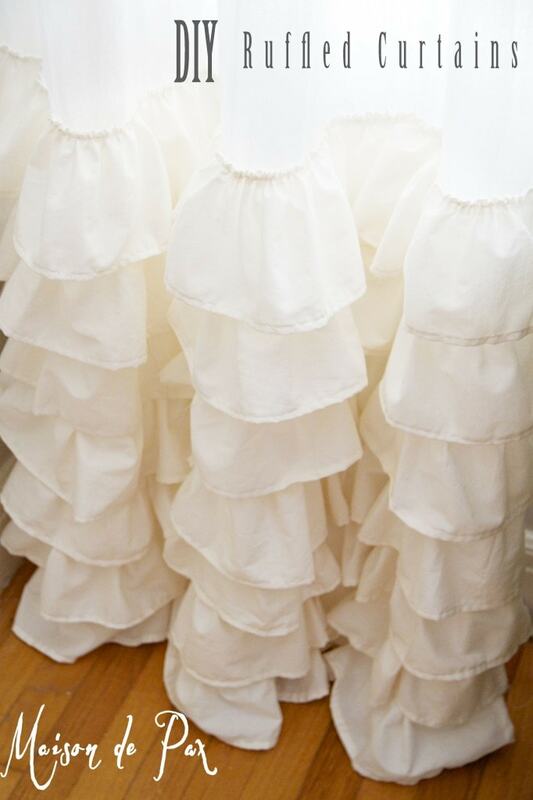 I am a huge fan of smocking and did a little when my daughter was young. You are right, once you get going it’s easy!!! Gotta find a room to make these for! I can’t thank you enough, Anita, for having me here! 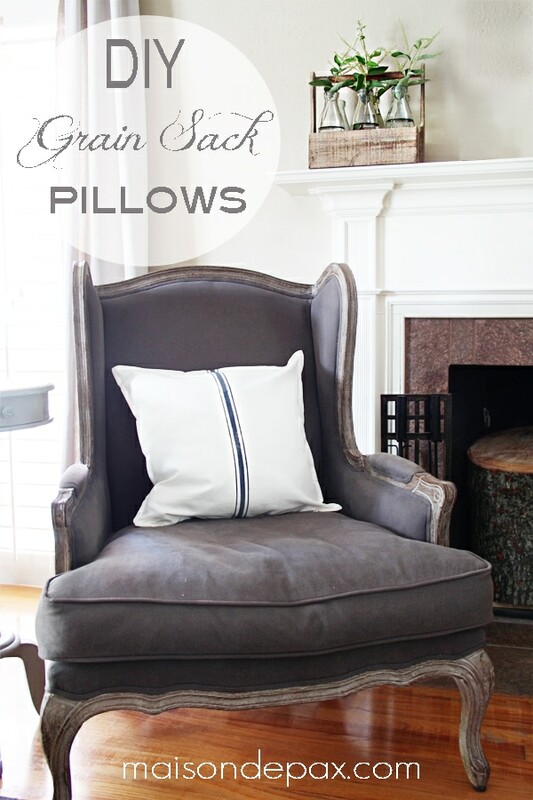 You know I love your style, and it’s such an honor to post at Cedar Hill Farmhouse! Thanks so much for joining me Rachel!!! I love these curtains! they add character to this room! love it! I am so impressed with those drapes, WOW. I have smocked dress for my daughter when she was young, but would have never thought to do the top of drapes. hmmmm what drapes in the house can I redo? Great website, will sign up to follow.